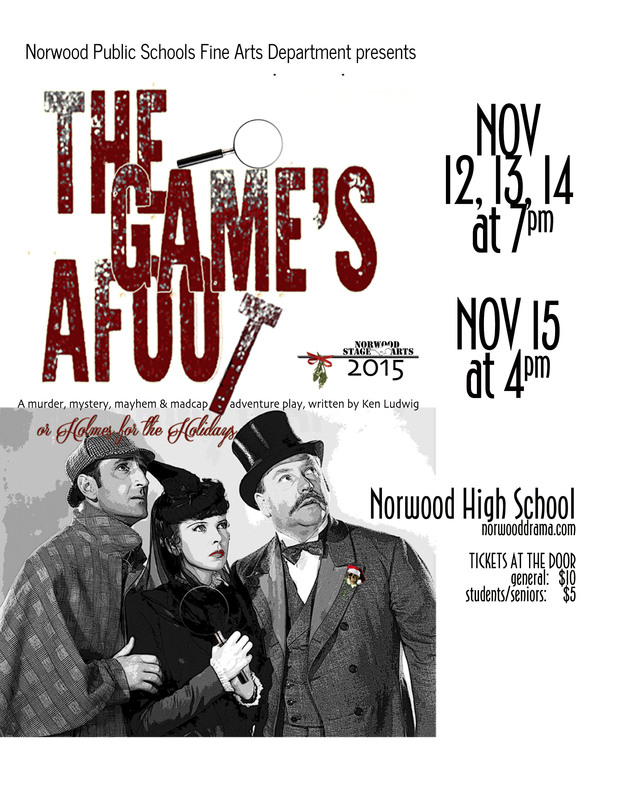 A murder, mystery, mayhem and madcap adventure play, written by Ken Ludwig at Norwood High School’s Paul M. Alberta Performing Arts Center on November 12th, 13th, 14th, at 7pm and Nov 15th at 4pm. See our cast bios and more develop throughout the next month in the The Game’s Afoot online program! The Backstage Boosters and cast/crew members will be offering tickets in advance as well as selling at the door.